I got this recipe from one of my blogger friend. 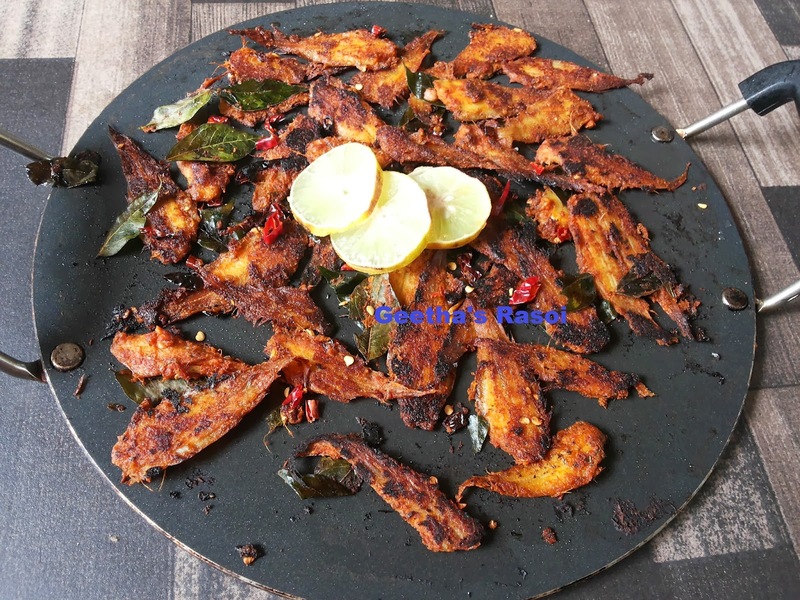 This can be shallow fried also here I have used oil for Tawa fry. Grind all the ingredients for marination into fine paste. 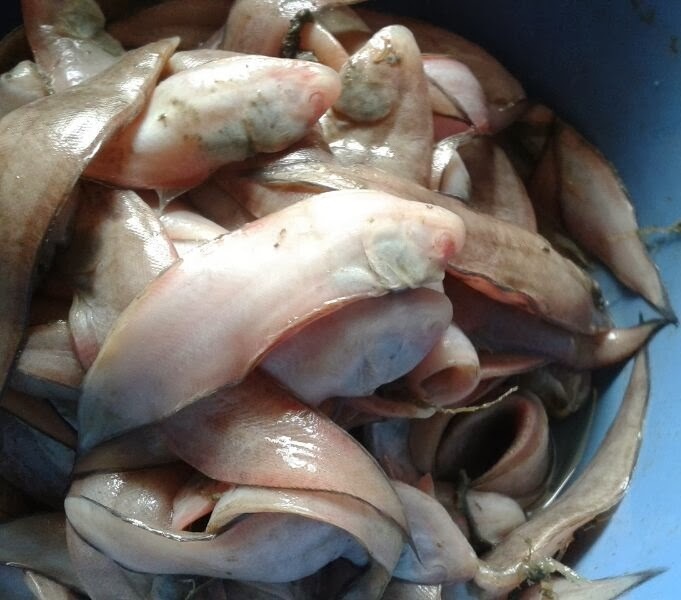 Coat this paste on fish and keep it for 10 minutes or more. 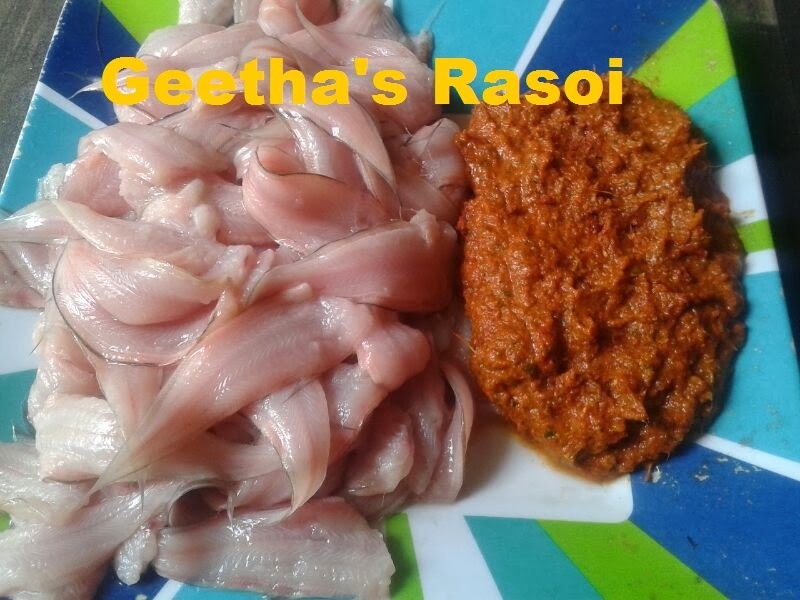 Grease the tawa, sprinkle curry leaves, chilli flakes and spread marinated fish. Spray little oil over it fry till crisp. 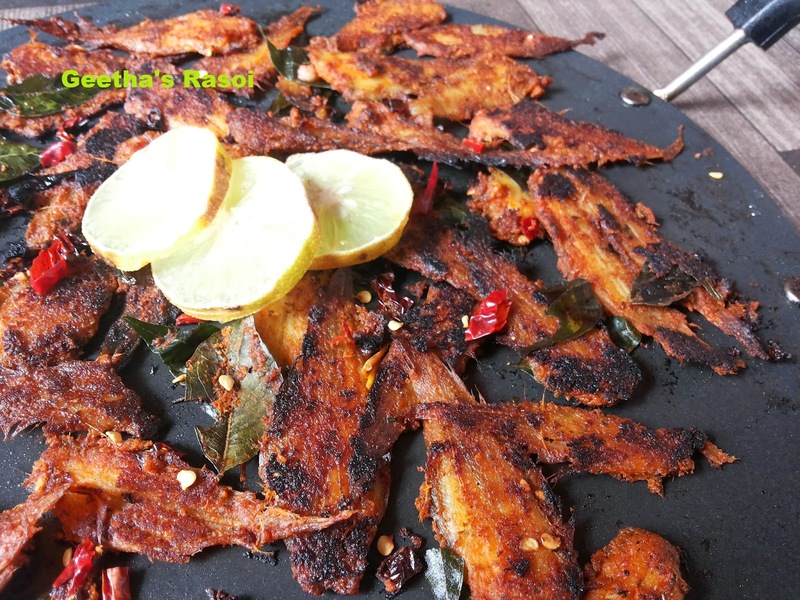 Again add curry leaves and chilli flakes and with breaking the flesh carefully turn over the fish and fry till crisp. Serve with lemon wedges.